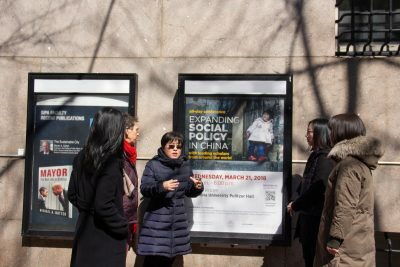 The China Center for Social Policy, directed by Professor Qin Gao, is the first of its kind housed at a school of social work. The China Center is a hub for innovation and action on social welfare in China. Through interdisciplinary research, the Center’s scholars address social concerns, including but not limited to: poverty, income distribution, population aging, gender equality, rural-to-urban migration, and social policies in China and the Asian-American immigration experience in the United States. Partnerships with major universities, think tanks, and international organizations make the Center a global platform to share scientific findings, develop policy proposals, and build community. For more information, go to the Center’s Website.